You’re feigning for a quick fix….your mind is telling you to buy it and your body is seemingly screaming for it. Then the moment finally comes. You crack open that can of Red Bull Energy Drink. You feel great now. You tackle the rest of your day with “ease”, people notice a quick change in your disposition, you’re bouncing all over the place and you feel like you can do anything! What is causing people to be so sluggish? Lack of Exercise? Stress? Poor diet? Why is water so ‘unpopular’? Ok, let’s get to this article! CANBERRA (Reuters) – Just one can of the popular stimulant energy drink Red Bull can increase the risk of heart attack or stroke, even in young people, Australian medical researchers said on Friday. 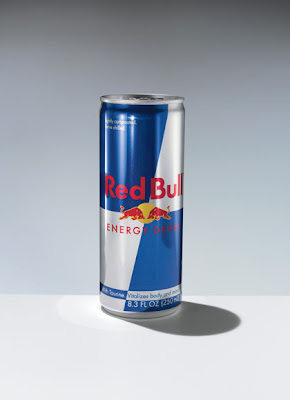 The caffeine-loaded beverage, popular with university students and adrenaline sport fans to give them “wings”, caused the blood to become sticky, a pre-cursor to cardiovascular problems such as stroke. “One hour after they drank Red Bull, (their blood systems) were no longer normal. They were abnormal like we would expect in a patient with cardiovascular disease,” Scott Willoughby, lead researcher from the Cardiovascular Research Centre at the Royal Adelaide Hospital, told the Australian newspaper. Red Bull Australia spokeswoman Linda Rychter said the report would be assessed by the company’s head office in Austria. “The study does not show effects which would go beyond that of drinking a cup of coffee. Therefore, the reported results were to be expected and lie within the normal physiological range,” Rychter told Reuters. Willoughby and his team tested the cardiovascular systems of 30 young adults one hour before and one hour after consuming one 250ml can of sugar-free Red Bull. The results showed “normal people develop symptoms normally associated with cardiovascular disease” after consuming the drink, created in the 1980s by Austrian entrepreneur Dietrich Mateschitz based on a similar Thai energy drink. Red Bull is banned in Norway, Uruguay and Denmark because of health risks listed on its cans, but the company last year sold 3.5 billion cans in 143 countries. One can contains 80 mg of caffeine, around the same as a normal cup of brewed coffee. The Austria-based company, whose marketing says “Red Bull gives you wings”, sponsors Formula 1 race cars and extreme sport events around the world, but warns consumers not to drink more than two cans a day. Rychter said Red Bull could only have such global sales because health authorities across the world had concluded the drink was safe to consume. But Willoughby said Red Bull could be deadly when combined with stress or high blood pressure, impairing proper blood vessel function and possibly lifting the risk of blood clotting. “If you have any predisposition to cardiovascular disease, I’d think twice about drinking it,” he said. Study: The South becoming AIDS centre in the U.S.
â€œThis was more than about getting a free ticket to see some performers at a concert. Itâ€™s about life and deathâ€, said Cynthia Gonzales. The 17-year-old stood in line for nearly two hours to get tested for HIV at a local Houston clinic and in turn received a free pass to attend the annual HipHop4HIV concert at the Arena Theatre. Experts are especially deeming it serious in Gonzalesâ€™ area after a recent study unveiled that rate of AIDS deaths remained leveled in other parts of the country from 2001 to 2006 but rose by more than 10 percent in the South. The report, titled Southern States Manifesto: Update 2008, was released on July 21 by the Southern AIDS Coalition (SAC) to continue describing the disproportionate impact of the rapidly growing interrelated epidemics of HIV/AIDS and STDs on communities in the southern United States and the shared challenges people living in the South face in working to combat them. This report, a follow up to a SAC study conducted in 2002, is based on data compiled by the Centers for Disease Control and Prevention, state health departments and academic scientists. The 17 southern states included in the study are Alabama, Arkansas, Delaware, Florida, Georgia, Kentucky, Louisiana, Maryland, Mississippi, North Carolina, Oklahoma, South Carolina, Tennessee, Texas, Virginia, West Virginia and Washington, D.C.
What were some of the alarming findings? The 17 aforementioned states are home to only 36 percent of the nationâ€™s population, yet half of all U.S. AIDS deaths in 2005 were in the South, and more than half of all Americans with HIV lived in the region in 2006. Nine of the 15 states with the highest HIV diagnosis rates and more than 40 percent of all new infections are in the South. Of the 20 metropolitan areas with the highest rates of AIDS cases in 2006, 16 were in the South. The South has the highest number of adults/adolescents living with AIDS, the highest number of people dying from AIDS, the highest rates of persons living with HIV (not AIDS) and comprises 65% of all AIDS cases among rural populations. The report states that the South is at the bottom of the totem pole when it comes to receiving federal anti-AIDS funding compared to other regions. Documents in the report pinpoints that many areas of the South continue to face ongoing poverty and discrimination, placing individuals and communities at elevated risk of infection. AIDS isnâ€™t the only ailment plaguing the areas. Southern states perform poorly on most health indicators in comparison to other states, as noted in study titled The Commonwealth Fund Commission on Aiming Higher, released in June 2007. The 14 states and Washington, DC, considered by the U.S. Department of Health and Human Services as the South Region hold 15 of the bottom 21 rankings and 11 of the 12 lowest-ranked states. The health score card for the South only gets worse. The ten states with the lowest ranking in overall health by the United Health Foundation were all in the South. The region also accounts for fifty percent of those lacking quality health insurance, sixty percent of premature deaths, forty percent of infectious diseases, fifty percent of the nationâ€™s child poverty; and ranks first among the four regions of the U.S. in the percentage of medically disenfranchised persons. Can crime be blamed on lead in soil? (FinalCall.com) – An investigation led by the National Center for Healthy Housing pinpoints the link between lead exposure and crime in the United States and in eight European countries. â€œWhat my research shows is that there is an extremely strong relationship between the rise and fall in lead exposure and the rise and fall of crime, with a time lag that reflects the typical age of offenders suggesting some sort of an interaction,â€ said researcher and economist Rick Nevin. â€œMy first study showed that the murder rate in the U.S. from 1900 through 1960 rose and fell, and I mean by a huge margin, from one per 100,000 to 10 per 100,000 then back down to five, tracking the rise and fall of lead paint use with a 21 year time lag,â€ said Mr. Nevin. Prior to and since Hurricane Katrina, the crime rate in New Orleans has risen as well and Mr. Nevin wonders whether hidden lead exposure has influenced violent behavior sweeping the storm-torn city. â€œThe inner cities are extremely highly contaminated with lead,â€ said Dr. Howard Mielke of Xavier Universityâ€™s Center for Bioenvironmental Research. Dr. Mielke said the lead dust in the soil comes from lead paint and from gasoline that pumped huge quantities of lead aerosol into the air before a 1986 ban. â€œAny part of the city where you have a lot of autos and very high traffic flows we find very large amounts of lead,â€ said Dr. Mielke. â€œIf we want to make sure we have healthy children in our community we have to deal with the lead issue,â€ said Dr. Edward Blakely, executive director of the Recovery and Development Administration. Why is lead so harmful? Dr. Mielke notes that while children are interacting early on with deadly items that may have lead and placing them in their mouths, their bodies are not equipped to eradicate the lead from their system. â€œSo they tend to absorb it and it tends to go into the blood and into the bone, and it affects the brain especially,â€ he explained. â€œIt causes a problem with development. It causes a problem with IQ and learning, and in some cases can be permanent,â€ added Dr. Earthea Nance, who directs the cityâ€™s infrastructure and planning department. Research also shows lead exposure can cause behavioral disorders and aggression. Dr. Mielke said recent studies revealed lead exposure affects up to 30 percent of the children in inner city New Orleans. The city countermeasure to combat the threat of lead is an unlikely source: sunflowers. â€œWeâ€™re planting sunflowers, which take up lead from the soil,â€ said Dr. Nance. A citizenâ€™s guide will be produced to teach ways to use sunflowers to remove lead from their yards, she said. â€œWe want there to be a place people can go to get their soils tested, to find out the extent, if thereâ€™s any contamination,â€ Dr. Nance added. Dr. Mielke said mud washed up from the Mississippi River, called alluvium, is another element that can decrease lead contamination. This approach could cost the city over $300 million to implement but Dr. Mielke contends doing nothing is becoming even more costly. (FinalCall.com April 2010) – The recent ruling by U.S. District Judge Donald Walter in Shreveport, La., restored rights toÂ The Final CallÂ newspaper to an inmate who was unconstitutionally being denied the paper in the David Wade Correctional Center (DWCC). According to Nation of Islam attorney Ava Muhammad, an appeal by the state of Louisiana is expected and welcomed. â€œWe fully expect the state of Louisiana to take this up on appeal to the Fifth Circuit (Court of Appeals). We want them to do that because there are facilities all over the country that are denying inmates access to this paper. It is our position that we need to have this matter settled once and for all,â€ said Mrs. Muhammad toÂ The Final Call. â€œWe think this is an excellent time and decision that offers us the opportunity to force this issue to final resolution,â€ said Mrs. Muhammad, who received her Juris Doctorate from Georgetown University. The American Civil Liberties Union ofLouisianabacked the lawsuit of inmate Henry Leonard and filed it May 2007, which was a year after he was restricted from receiving copies of the weekly Nation of Islam newspaper. Attorneys representing Louisiana claimed on behalf of prison officials that the reason behind the censorship was newspaper content deemed racially inflammatoryâ€”in particular The Muslim Program, which appears on the inside back page ofÂ The Final Call. â€œThey requested an expert testimony from the Nation of Islam to explain The Muslim Program in April 2009. The Honorable Minister Farrakhan gave me that assignment. He asked me to take the deposition, be questioned by the attorney from the state of Louisiana and to explain The Muslim Program,â€ said Mrs. Muhammad. The deposition presented by Mrs. Muhammad in April 2009 took place in Chicago on the grounds of Mosque Maryam, the headquarters of the Nation of Islam. Her deposition was nearly 200 pages and she went point by point through The Muslim Program. â€œThey actually wanted to focus on Point No. 4 of What The Muslims Want and to lift that out as being racially inflammatory. I gave a very in-depth explanation and educated them so that they could rise to an understanding that separationâ€”contrary to the idea that this is a racist conceptâ€”is actually as the Honorable Elijah Muhammad teaches, the best solution and a peaceful solution,â€ she argued. Mr. Leonard, who is a former Baton Rouge police officer, was convicted of murdering his estranged wife’s boyfriend. He has been a practicing member of the Nation since 1985. According to Mrs. Muhammad, the court also questioned whether it would be sufficient for Mr. Leonard to just sit in on services conducted in the prison by an imam under the late Imam Warith Deen Muhammad, instead of receivingÂ The Final Call. â€œWe objected that on the grounds of Point No. 12 of What The Muslims Believe. That distinguishes us from other Muslims and it does not make us any less than Muslim. We adhere to the principles of the Holy Qur’an. However, absent that cardinal principle (Point No. 12), we cannot follow our faith. That is the core principle of being a follower of the Honorable Elijah Muhammad under the direction of Minister Louis Farrakhan,â€ said Mrs. Muhammad. On March 31, Judge Donald Walter ruled in favor of the plaintiff on the basis that the prison officials could not deliver any evidence thatÂ The Final CallÂ newspaper was the source of any violence. â€œAgain, this Court is concerned that the complete banning of the publication because of the inclusion of â€œThe Muslim Programâ€ is an exaggerated response to DWCC’s concern about racially inflammatory material,â€ Judge Walter wrote in his 21-page ruling. â€œI was so ecstatic about this decision and my eyes welled. This case was very dear to me and we put in a lot of hours,â€ said Katie Schwartzmann toÂ The Final Call. As the Louisiana ACLU’s legal director, she spearheaded the lawsuit. New Orleans, La.Â â€“ This upcoming October 16, will be the 19th anniversary of the Historic Million Man March. Fueled by desire to keep the spirit of the Historic Million Man March alive and restoring the hope in the redemption of the Black community in New Orleans, Brother Student Minister, Willie Muhammad reached out to other community activists to assist. The committee is calling for 1000 plus Black men to gather on October 25, 2014 at 9am at the Hunterâ€™s Field playground in New Orleans.Â From there the men will walk down an avenue that runs straight through the heart of one of New Orleans historic Black neighborhoods to participate in a rally at the Congo Square which is located in Armstrong Park. Once at the park, the rally will begin. â€œAt this rally we have developed a program around a principle that was articulated during the speech of the Honorable Louis Farrakhan when in D.C. The Minister asked those in attendance to join on to any organization that was working to better our people. Well, we have selected eight categories that impact the Black community here in New Orleans. Those categories are health, violence reduction, youth development, economic development, political involvement, arts & culture, prison reform and education. We will have a panel select eight organizations that have a track record of successfully working in these areas. At that rally we will ask those among the one thousand plus to join those groups or find some kind of way to help them in their work. After the march we will give a report on how many agreed to do so and we will monitor their progress throughout the year,â€ stated Brother Willie Muhammad. The committee is following the blueprint that was used to make the Historic Million Man March a success. Meetings are being setup with various organizations, social aide & pleasure clubs, churches, Hip-Hop community and more seeking their participation and support. On August 9, the committee held a community meeting titled, â€œThe First 100!â€Â At this meeting 100 influential people within the Black community in New Orleans were invited. They viewed a power point presentation outlining the overall idea and goals of the march/rally. They were then asked if they would be willing to support by showing up themselves on Oct. 25 and actively recruiting ten Black males to do the same. In addition to that those in attendance were asked to help setup meetings with members of the local organizing committee and organizations, churches and groups they belonged to. The meeting was a success, the room was filled and everyone was excited about the upcoming march/rally. â€œOur community is a wheel, and our people are the spokes in it. Through the process of Truing, each one of us must adjust the tension of our respective spokes in order for our community to have the quality ride it deserves and once that wheel makes a complete turn, it is at such time we will have revolution,â€ said Brother Shack, of the True Love Movement, when asked about the success of the August 9th meeting. Brother Shack is also one of the march/rally organizers. During the first phase of promotion the organizers used social media to inform people about the upcoming march/rally. A Facebook page titled, â€œMan Up March: A Call to Action” has been created. Thus far the reception has been very good. Brothers have begun posing the phrase, â€œI have my ten,â€ in reference to ten males they have encouraged to attend and sisters have been posting remarks showing their support as well. The energy is building as the march nears. â€œThis march will be the defining moment for black men in this city. This is the time and this is what must be done, for our wives, our children, our community and indeed for our very existence,â€ stated Brother Asad, a local entrepreneur who is part of the local organizing committee. It has been over 60 days since Michael Brown was killed by Ferguson Police officer Darren Wilson and he has yet to be arrested or indicted. The youth of Ferguson–fueled by the chant, “We’re young, we’re strong. We’re marching all night long”—have not let up for one day since. The spirit in them to fight is REAL and their stance has caught the attention of the world. On Saturday, October 11, the “Justice for All: National March and Rally” is scheduled to take place and much more.Â Click here to see the full schedule of events.Â Below are a few photos from Twitter from Day 1 of the #FergusonOctober Weekend of Resistance. (Source:Â FergusonOctober.com) An off-duty St. Louis City Police Officer working in uniform for a secondary security job chased, shot and killed 18 year-old Vonderrit Myers. The officer fired 17 shots, completely unloading his clip. Organizers who were out on the street witnessed the palpable anger and sadness expressed by residents over the loss of yet another life at the hands of a police officer. Police say he was armed and shot at the off-duty officer.Â No witness saw him carrying anything other than a sandwich or could corroborate the details offered by police. Serious doubt has been cast on the St. Louis City Police Departmentâ€™s version of events. I remember George Thomas “Mickey” Leland…my grandmother introduced me to him. The other day I received a flyer about Mickey Leland Center on World Hunger & Peace Year-End Celebration on the campus of Texas Southern University. The theme of the event is “We Remember Mickey – His Vision Continues”. It was originally set for Dec. 4, but the snow conditions postponed it.This morning I started thinking about when I first learned about who Mickey Leland was. I was taught about him by my grandmother, Myrtle Jackson Ross, who was the first ever activist I knew in my life. All I remember was a warm smile, a pat on the head and the wordsÂ “Nice to meet you little Jesse Jackson“. That was my name before I became a Muslim. Then in 1989 I remember the Black community in Houston being very saddened because Mickey Leland died in a plane crash in Ethiopia.Â But it wasn’t just our city, it was the entire world.Â The crash was shocking and in some reports “mysterious”. As I got older I read about Mr. Leland and found out that he was a product of Wheatley High School and Texas Southern University in Houston. He was an anti-poverty activist who was deeply concerned about the homeless. He became a congressman from the Texas 18th District and chair of the Congressional Black Caucus. This year marks theÂ 20thÂ anniversary of his last missionÂ to Ethiopia, which ended during the plane crash on August 7, 1989. His 65th birthday would have been on November 27. He died at 44. HOUSTON â€“Â Support is not dwindling forÂ Robbie Tolan, who was shot over six years ago by a White Bellaire police officer. The community stood outside the Houston Federal Courthouse to further rally around him and his family. â€œItâ€™s an incredible feeling to see everyone come out in solidarity and stand with me,â€Â Tolan toldÂ African-American News&IssuesÂ at the conclusion of the Aug. 26 rally. â€œThe point I wanted to make was that this doesnâ€™t just affect Robbie Tolan. My name is in the headlines and my name is on the case, but this is not about Robbie Tolan. This is about the next Robbie Tolan, the next Trayvon Martin, the next Eric Garner, the next Michael Brown, should there be one,â€Â he emphasized. In 2008,Â Officer Jeffery CottonÂ shot Tolan in his driveway after he was mistakenly suspected of car theft. Although Tolan was unarmed, the officer claimed he was reaching for a weapon that led to the shooting that stirred cries of racism and police misconduct. A lawsuit filed by Tolan alleged that he was racially profiled and had his civil rights violated. Officer Cotton was acquitted, however, Tolanâ€™s legal team filed an appeal, which was upheld by the Supreme Court and is considered a milestone. A federal magistrate has set a September 2015 trial date, which means Tolan will have his day in court. I attended a campaign kick-off this weekend for All Real Radio, an online streaming radio station whose tag line is “We Make the World Better” and after spending my Sunday afternoon with the crew, MY world has already been changed. With clean radio from 5am to 9pm this is a station for the entire family to enjoy! Zin, the “Curator of Soul” and Founder of All Real Radio brought together an eclectic group of Houstonians in support of ARR’s mission. Guests were treated to great food, even better music and some heartfelt words of gratitude. Brother Jesse MuhammadÂ was the emcee for this event and did a great job educating the crowd on the importance of philanthropy. Check out the video above to hear Zin’s All Real Radio report! Connect with All Real Radio viaÂ TwitterÂ andÂ Facebook. Tune in their live streamÂ here..and most importantly DOWNLOAD THE APP for (Android) & (Apple) so you can rock all day an all night! Oakland native,Â Michele ThibeauxÂ brought the heat with her “quirky”, yet amazingly on point performances. One of my favorite jams of the night was her hit “Ultimate MC” where All Real Radio’s very own, Zin, made a dope cameo appearance that had the crowd grooving. Staci Davis, Owner ofÂ Radical EatsÂ and avid supporter of All Real Radio, opened the doors of her “Funky eatery with art-adorned surroundings” for all to experience & enjoy! I encourage you to stop by for a meal, a cocktail or coffee. Staci has a neat library of books covering all subjects and she even has live butterflies that she cares for. If you are lucky you may see the birth of one, or one that is being set free! Stop in and say hello to Staci as she is really a jewel to the community and has a heart for philanthropy for meaningful cause that make an impact. Support Radical Eats.